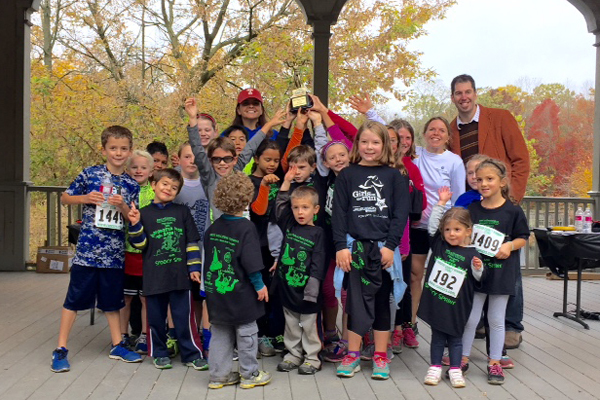 Congratulations to Bancroft for bringing home the Participation Trophy for the Monster Mash Dash for the 5th year in a row! It was a great event an d a proud moment for Bancroft! Our award winning Bancroft artists designed the Tee shirt as well! What a good time and a super way to support the Kennett Education Foundation! See you next year! Kennett High School is proud to announce that three Kennett High School students have been recognized as National Merit Semifinalists in the 61st annual National Merit Scholarship Program. 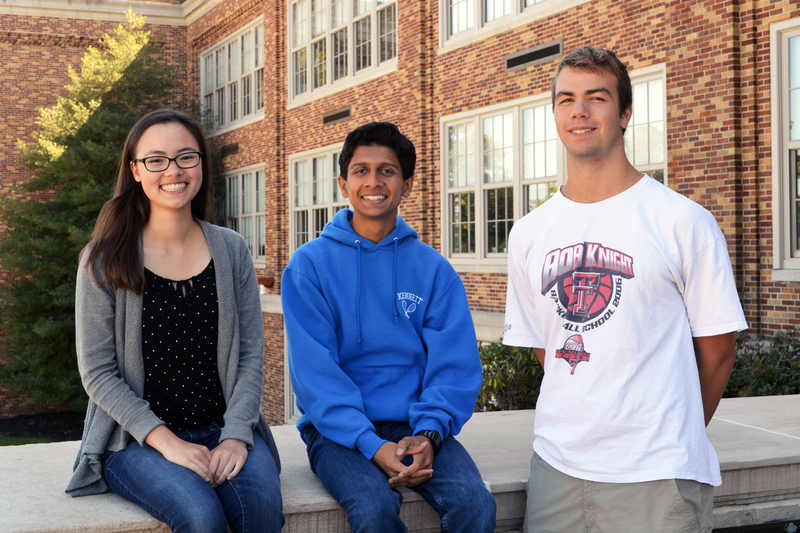 Seniors (from left) Julie Bates, Saarang Karandikar, and John Libert were among approximately 1.5 million juniors who entered the 2016 National Merit Program by taking the 2014 Preliminary SAT/National Merit Scholarship Qualifying Test (PSAT/NMSQT) that served as an initial screen of program entrants. Outside of the classroom, Julie is a member of the Academic Team, Future Business Leaders of America (FBLA), and the yearbook staff, and she performs with the color guard. She has not chosen where she will study after graduation, but she has decided to major in engineering. Saarang plays varsity tennis and is a member of FBLA and the high school’s robotics team. Like Julie, he has not committed to a school, but he has decided to major in neuroscience. John is a dedicated member of the high school’s swimming team. His events are the 100 fly and the 100 backstroke. John is considering schools and fields of study. The nationwide pool of semifinalists represents less than one percent of high school seniors and includes the highest scoring entrants in each state. The number of semifinalists in each state is proportional to the state’s percentage of the national total of graduating seniors. These students are eligible to continue in the program competition for some 7,400 National Merit Scholarship awards worth more than $32 million to be offered in the spring. To advance to the finalist level and to be considered for a Merit Scholarship award, semifinalists must fulfill several additional requirements. These include an outstanding academic record, endorsement by the principal, and SAT scores that confirm the preliminary results. The semifinalist and his or her counselor must submit a detailed scholarship application that includes the student’s essay and information about the student’s participation and leadership in school and community activities. 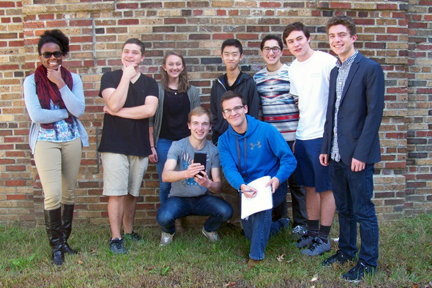 Kennett High School is proud to announce this year’s National Merit Commended stude nts: (standing L-R) Tolulope Adetayo, Dylan Munson, Erin Dooley, Andrew Kim, Jacob Saltzberg, Magnus Murray, Christian Beveridge, (kneeling L-R) Alexander Mark, and Casey Bruno. A Letter of Commendation from Kennett High School and the National Merit Scholarship Corporation, which conducts the program, has been presented by Kennett High School principal, Dr. Jeremy Hritz, to these scholastically talented seniors. 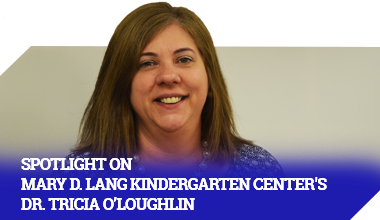 “We are so proud of these outstanding students, not only for their exceptional performance on standardized tests, but also for all the other ways in which they enrich the Kennett Square community,” Dr. Hritz stated. Although these students do not continue in the competition for Merit Scholarships, they placed among the top 5% of the 1.5 million students who entered the 2016 Merit Scholarship competition by taking the 2014 Preliminary SAT/National Merit Scholarship Qualifying Test. The Avondale Fire Company recently visited New Garden Elementary School first grade students to discuss fire safety. They explained the actual job of a firefighter and what to do in the event of an emergency. They stressed the importance of the number “911”, smoke detectors, and having a designated meeting place in the event of a fire. Each student received a bright yellow fireman’s cap, a pencil, and an activity book. During physical education classes students come to the wall with a partner during station work. The climber must say “On Rock” and wait for their spotter to say “Rock On.” The spotters are responsible for assisting climbers by pointing out holds to grab, and to make the climber feel safe. Rock climbing is known for improving upper body strength, as well grip strength in the hand and fingers and overall muscular endurance. 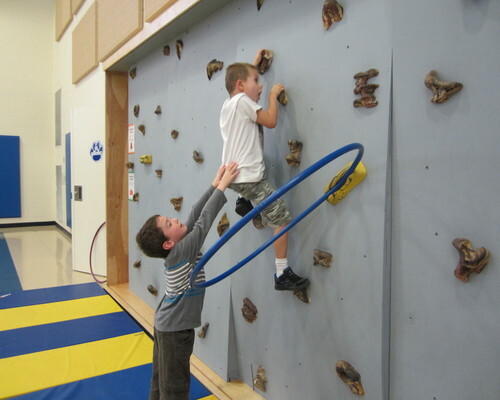 Students will climb over two physical education cycles in the Fall, and then again in the Spring. The Bancroft Bears are super lucky to have this new element in gym class! The Kennett Education Foundation’s Monster Mash Dash and Kids Spooky Sprint, Sponsored by Cari Orthodontics, will be held Sunday, October 25 among the beautiful fall colors of Anson B. Nixon Park! The current weather forecast for Sunday morning is cloudy with a low of 54 degrees and high of 62 degrees, PERFECT weather for a trail run or walk! Everyone is encouraged to come in costume as you support Education Grants, Scholarships and STEM in KCSD. Awards will be given for costumes! Our NO FEE on-line registration is open through midnight Wednesday, October 21. Pre-registration is $25 for the 5K Run/Walk and $10 for the Spooky Sprint for kids 10 and under. On-site race day registration will be available starting at 8:00 am on Sunday morning at $30 for the 5K. T-shirts are guaranteed for the first 400 registrants. We have over 150 registrants to date, join the fun and sign-up today !